I think I'm pretty much me online. Of course, I'm never on the Internet when I'm pissed or depressed about something. LOL!! I'm far more boring in person, which probably doesn't speak well of me. I'm not terribly entertaining online, so how much more boring can I be? I'm like you. What you see of me online is real, but it's not all of me. I'm too old (and lazy) to pretend to be something other than what I am. Heck, I rarely even bother to hold my tummy in anymore. That camel pic is something else. I have 2 facebook pages. One where I tend to let the real me through and one for family and people whom I don't show the real me. My blog represents certain parts of me. Me as reader. Me as writer. Personal bits of me I like to share. That camel pic is awesome. That pic is amazing and I'm pretty much what you see is what you get, but I can be grouchier at home. Ask my kids. LOL! I am exactly the opposite of my online persona. I act like I'm sort of a nervous 60-ish Boomer with very limited self-confidence & not much going for him in life. In reality I am a handsome 35 year old Jewish doctor. Let's see if this finally gets me some women! Isn't that funny...I was just looking for a handsome Jewish doctor. Anyway, the person I am online is only half of who I really am. I try to represent the "bright" side of me when I'm in social mode. You don't get to see the truly "ugly" me. Who wants to hang out with "ugly"? 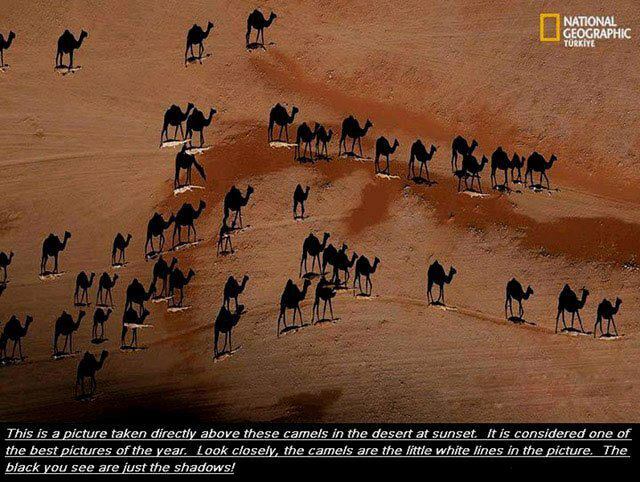 As for the camels, are you sure those little white lines are camels? That pic is just so bizarre. Hope all is going well for you over the summer. I can't figure out those white lines...but, I get your point. I probably should hold back more than I do, online. It's interesting you mention Pinterest in our social media online persona (which for me pinterest is NOT social, I don't converse on there, which is one reason I love it so much. I go on there and zen out and get creatively inspired. ), because while I am just quietly on there doing my own thing, in a way my boards, everyone's boards, say more about us than more social social media does. I never really thought of it that way before, because my boards and pins are just for me. Hm. Love the pic. Funnily I just blogged about social media this week and how it takes us over. Well, what you see is what you get with me, but I like to consider myself a bit of a wise cracker! But er, I curse a lot more in writing also. It's just so... satisfying. What an incredibly cool picture. As for cyber me -- it's a shadow I cast, but not a shadow of the whole me.